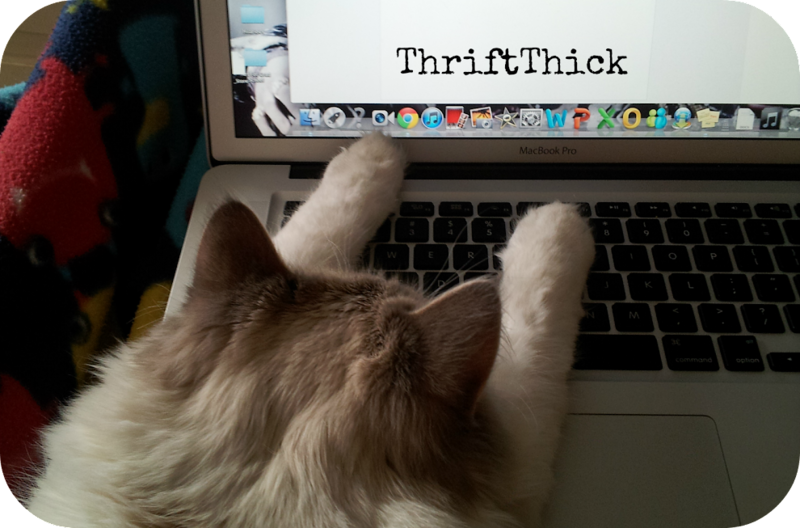 Thrift Thick: New Video... Finally!! Sorry for my general lack of absence on the internet lately everyone!! I've been trying to keep up (so hopefully no one really noticed... or maybe no one noticed anyways? Haha T__T) but things have been a bit crazy with school and work and general life lately! Pretty typical nearing the end of yet another semester. 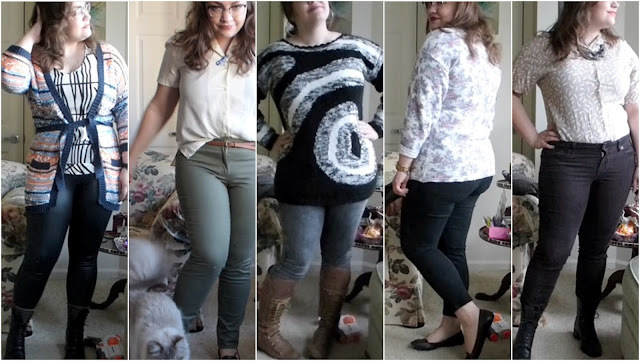 I love the second outfit :)! Chiffon tops are always so pretty. Love the last one, it's such a classic look. Aw thank you I'm so glad you like it!! Holy freakin' outfits, Batman! 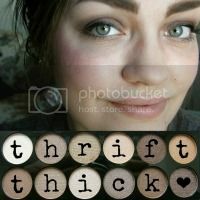 I stumbled upon your blog because I was looking for a review of the Sonia Kashuk Shimmering Sands palette (such a disappointing product - thanks for saving me the money and heartache) and was mesmerized by how pretty you are. And now the creepy compliments start: first of all, your eyebrows are amazing. I And your glasses make me happy. And your face, in general, is awesome. I subscribed to your channel and added your blog to my reading list.